Well, let's say it like this: It's not religious. Easter is not about ceremony, and a series of activities that people normally associate with religion, such as worship services, and the big supper with the family. 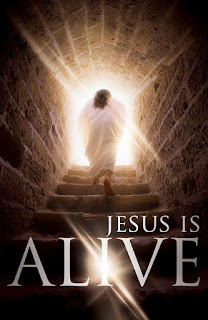 Easter is because Jesus' followers said they saw Him, alive...AFTER He was crucified. And they saw the crucification. Jesus' movement didn't have any power on the earth. His followers were few, poor and not in any position of power, not religious, political, military, or cultural power. Yet the movement Jesus started took off and in 300 years, essentially conquered the Roman Empire without firing a shot or swinging a sword. If you don't have a church you are regularly involved with, please come and check out the Non-Religious Easter with theCityChurch, Easter Sunday, 10:45 am, Stellar Beans Coffee, 319 Broad St.